There is a mildly embarrassing story that dates back to 1989 when I had picked up Sharmila from her college and we had gone out to Maidan and Victoria Memorial. I will save that story for the future. My point is, yesterday, we took the girls to some of those spots in the Maidan. 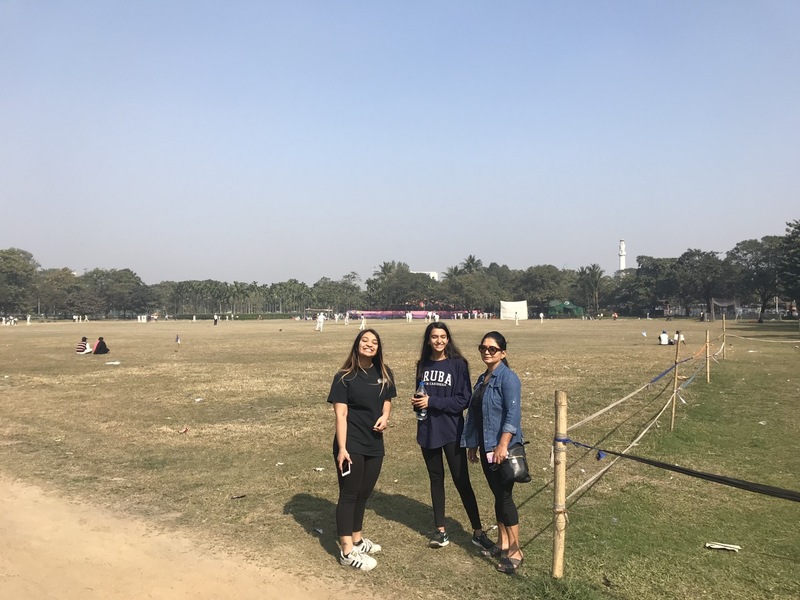 Folks from Kolkata probably can recognize the ever present cricket games going on during winter in the background (and soccer during summer) and the Shahid Minar behind. “Apple-er eto naam aachhey to apple-ta ordhek khaoa keno? Basically, after watching the logo of Apple, she wants to know if Apple is such a big company, why is their logo half eaten? As with every year, I wish you enough!! 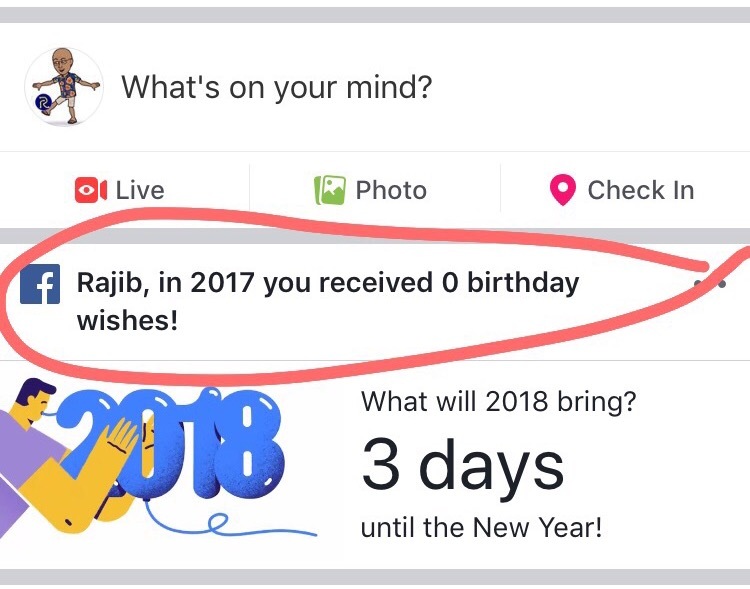 It would never be the start of a new year for me if I did not send my “I wish you enough” message like every year. Again, credits are to Larry who had “wished me enough” for the first time many years back. I love them and I hate them. I love them because of the people I get to watch. But they are also the same reason why I hate airports. It all comes down to “hello” and “goodbye.”I must have mentioned this a few times while writing my stories for you. 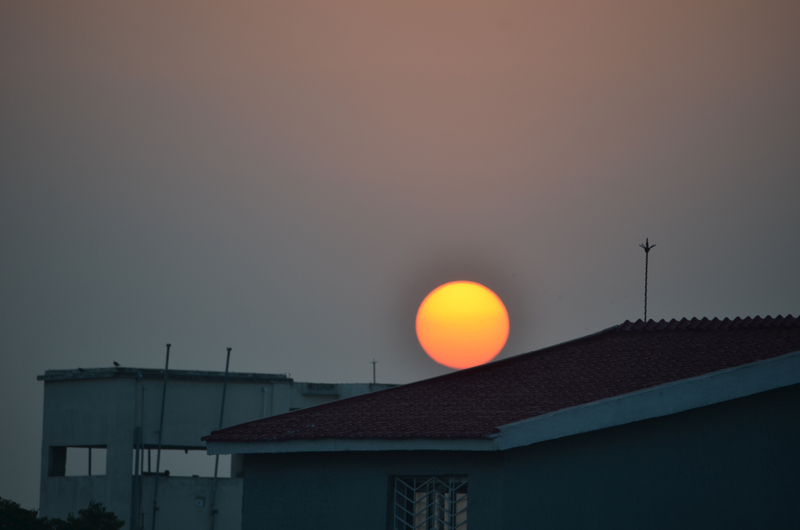 Category: Musings | 1 Comment on As with every year, I wish you enough!! Category: Intersection Points, Vacations | 10 Comments on Sharing a lighter moment after 40 years!! Another moment created for the kids!! Most who have been lucky enough to grow up with grandparents around them will vouch for their undeniable influence – especially in the early stages of childhood. 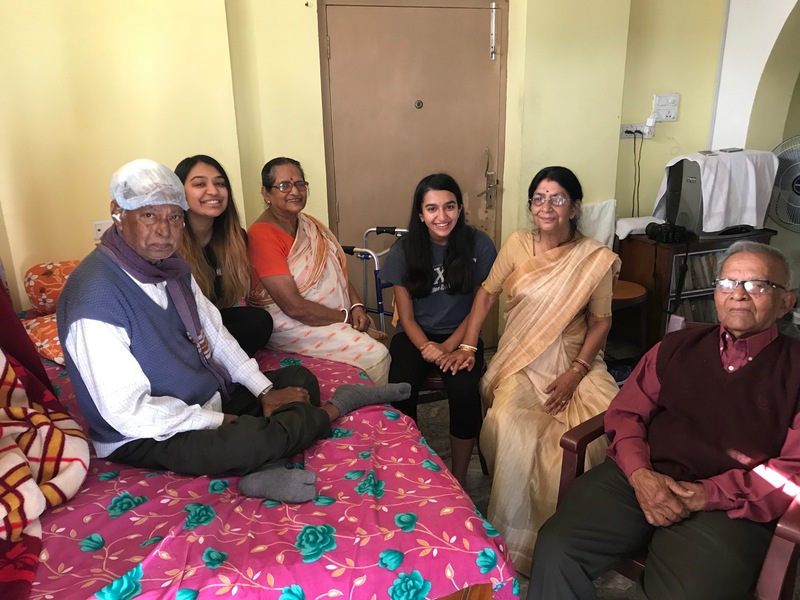 While the advent of modern economic growth started breaking up joint families in India, kids – in most of the cases – maintained reasonable access to their grandparents. I was lucky to see mine every year. I had only three of them. My dad lost his dad at his tender age of two and a half. My recollection of my grandparents is still of their incredible kindness and generosity towards us. It was as if, as grandchildren, there was no demand too steep and there was no infraction that were punishable in the least bit. They were our alibi when we were in trouble with our parents, our go-to when we got scared of our parents, our source for funding when our parents won’t buy us a knick knack and our never ending well of stories. Nikita and Natasha, having been born in the USA do not have that easy an access to their grandparents in India. There was a time we used to come every year to maintain the routine I had with my grandparents. Then that stopped as they grew up and their life got taken over by…. well, life! You can only imagine how excited I was that this time when both of them expressed the desire to visit their grandparents. 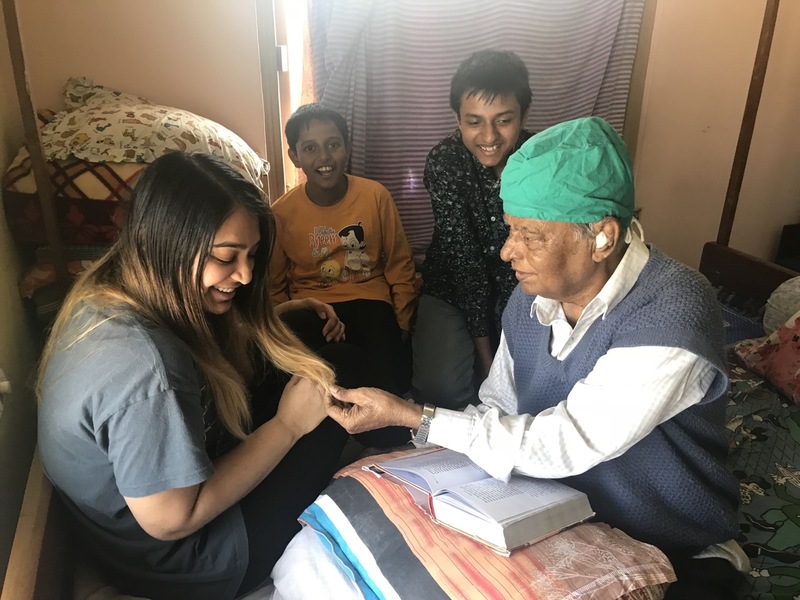 One of the moments I was hoping to create – and that is something that had happened only once in my life time for myself – was to see if I can put both them with both side grandparents together under a roof for a day. 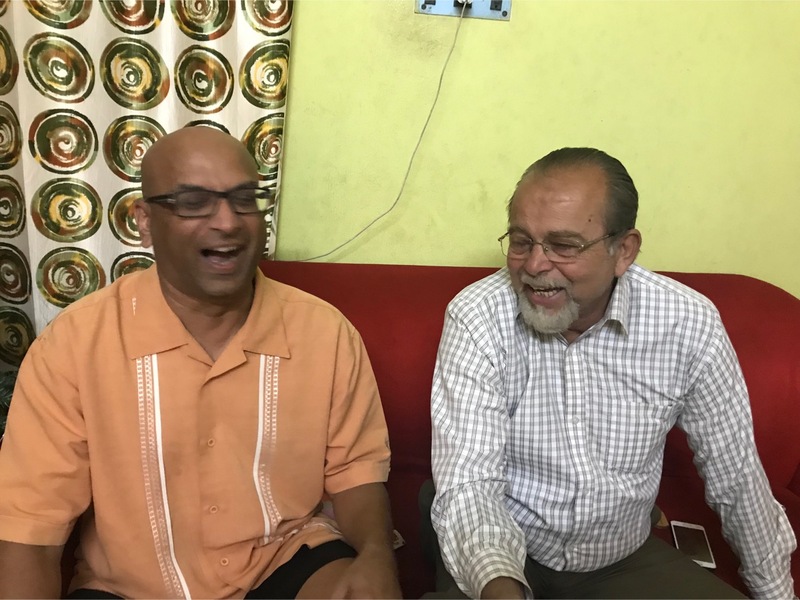 That explains the tiring trip to Durgapur and back (a total of 12 hours of driving – we got stuck in a couple of nasty traffic gnarls on the highway) to get Sharmila’s parents. And then after staying over in Kolkata for the night, we were all in Kalyani at my parents’ place! The smile on the faces pretty much captures it all! P.S. My dad was thrilled to talk to somebody who is from his old city Durgapur and he had a lot of questions around how the city has fared ever since he left! Category: Vacations | 14 Comments on Another moment created for the kids!! 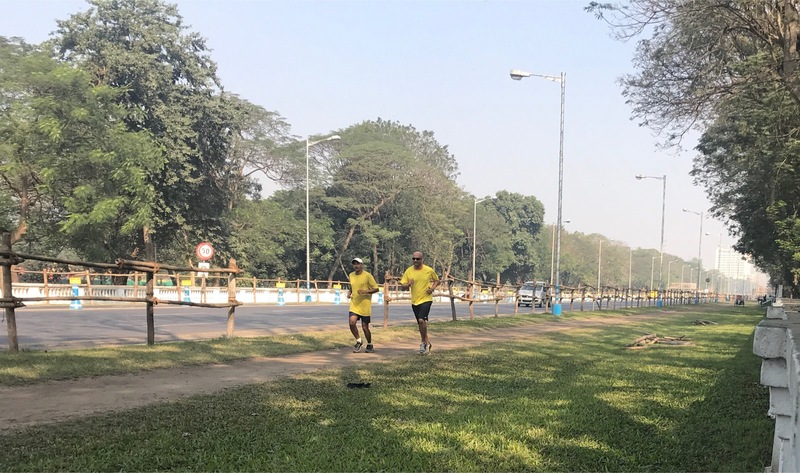 Signed off 2017 running calendar with a 5K run (3 miles) near Kolkata Maidan with my brother. Like the last couple of years, reaching the annual running goal was made special by ensuring that I reached it while running with my brother. This year’s goal was to complete 100 miles (160Km) every single month of the year. Category: Running, Vacations | 4 Comments on Red Road. Yellow Brigade. This could be injurious to his brain!! I was half expecting this. My dad, trying to fight back his brains getting scrambled after the stroke, had a hard jolt trying to understand what happened to Natasha’s hair. Tasha, had dyed her hair blonde some time back. Over the last few months as the hair has grown, her strands are natural dark (from the root side) and then after about half length starts becoming blonde. My dad’s relatively low exposure of dyeing hair entirely comprises of making the hair look dark again (from grey) but never from dark to any thing else. As you see in the picture, he held her hair in his fingers for quite some time trying to investigate what was going on. He asked quite a few questions – much to Tasha’s merriment – and then gave up trying to understand it!! Category: Vacations | 16 Comments on This could be injurious to his brain!! Usually, at least in our house, the iPhone is a constant source of irritation when it comes to interpersonal interactions. “Get your nose off the screen”, “Keep your phone down while eating”, “Stop posting those unflattering pictures of mine” 🙂 are part of the day to day vernacular when the four of us are around. That same mighty piece of electronics has been a hero, bar none, to my parents, the last couple of days. Natasha has kept up with her word to be with the grandparents. Every day, in Kalyani, she has been quietly sitting around my dad or mom. When everybody else is around, she has been watching all the interactions and when others leave, she has been trying to interact with my parents. The big challenge is of course, language. As was famously said before, her grandparents and she has been separated by a common language. They speak their own versions of English. If my parents speak at a struggled pace, Natasha’s speeds thru sentences like there is not going to be a tomorrow. But I have to say, I was superbly impressed how she and the grandparents persisted thru their communication challenges. The lowest common denominator has been the iPhone. My dad has always been a biggest fan of Natasha’s written English. He makes me bring her newspaper publications every time. But he has never understood what an online newspaper is. Once, he came dangerously close to concluding that the newspaper man delivers a computer to every home each morning in America! Unknowingly though, he experienced it yesterday. Trying to figure out how to keep him engaged, Natasha had an idea! 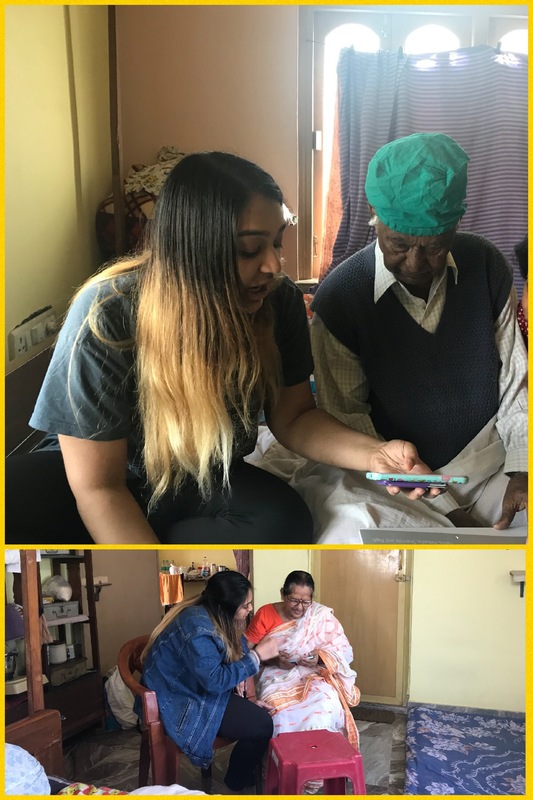 She took her iPhone out, weaved thru the slow speed data connections in Kalyani and made him read some of her online publications. Then she held the phone up for him patiently, as he read each line! At that point, to give them some time, I left the room. When I came back, Natasha was holding court with her grandmom. My mother is not into written articles. From what I could overhear, Natasha was taking her thru all the pictures in her phone and introducing all her friends! “This is Avery”, she was explaining. “O Eta aay-bh-aari”, my mom acknowledged butchering the name’s pronunciation. I left the room again! The girl has truly grown up!! The iPhone, unwittingly, was the great uniter yesterday! Category: Vacations | 10 Comments on The great uniter!